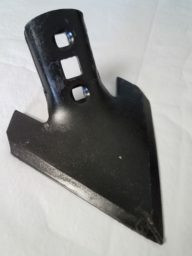 Our Online Store Puts the “Fun” in Functional! Woodward Crossings Country Basics treasures plain & basic living. 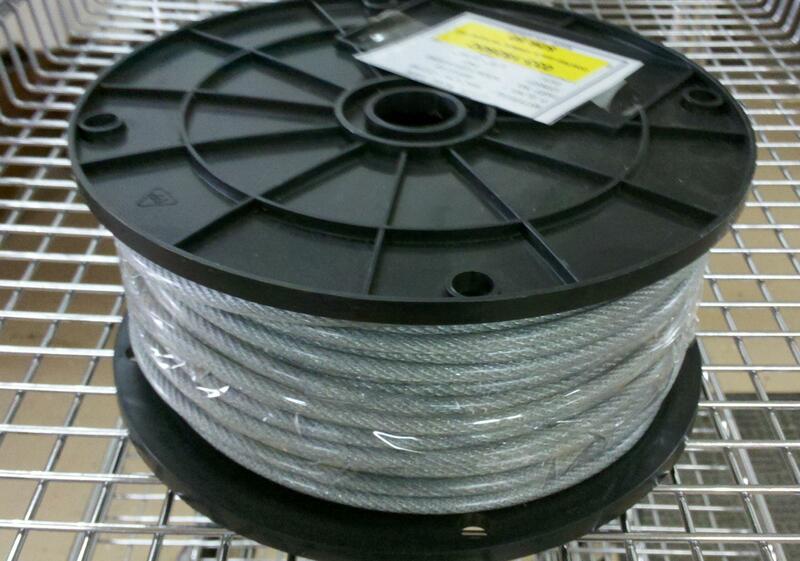 We aspire to provide products that are cost effective & uncomplicated. Our Country Basics Online Store touches the most basic needs of those who love the country & choose to live simply! Most of us want to be more productive with less effort. So, whether you have a small garden, operate an organic farm, maintain woodlots, manage land, or grow crops, you will appreciate our fine selections of wares from parts to equipment to be beneficial to your endeavors. Woodward Crossings' Very Own Wunderbar Module ~ One Hitch ~ Many Implements! 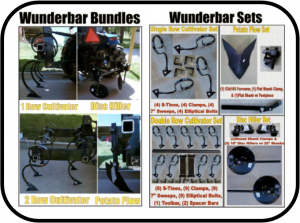 Or you may custom build your own Bundle with our Wunderbar Offerings below! Go ahead! Use your imagination! 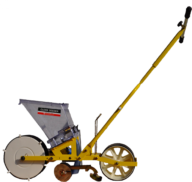 Looking for a Seeder that will singulate seeds?Look no further! 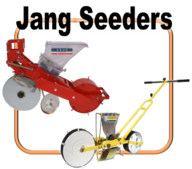 The Jang Garden Seeders are designed as precision seeders that will singulate many seeds. The JP Series are designed to singulate many small seeds. 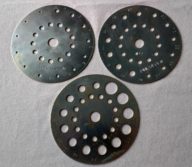 The TD Series are designed to singulate many large seeds. 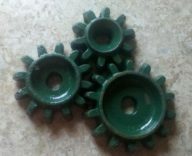 Jang Garden Seeders ~At Last~ a Precision Garden Seeder! 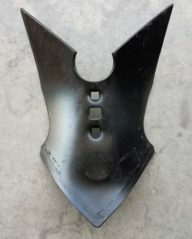 There are many options and formations of Jang Garden Seeders from which to chose: JP-1, JP-2, JP-3, JP-6, JP-6W for Walk Behind Units for planting small seeds. 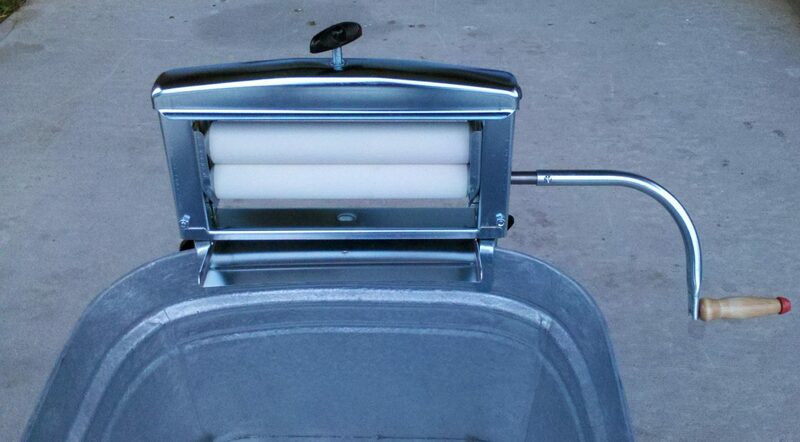 The JP Series use rollers for the small seeds. 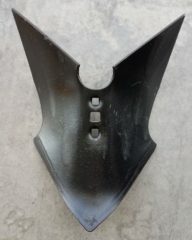 The Jang JPH Seeders are the Tractor Mount Units. 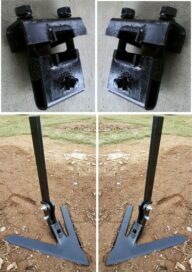 You can chose 1, 2, 3 or more to mount on a toolbar and 3 pt. hitch. Models are JPH-U, JPH-2, JPH-3, and the JPH-4. 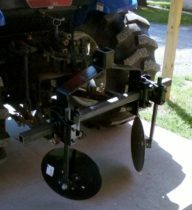 The TD-1 Seeder is a walk behind seeder to plant large seeds. 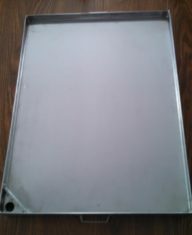 The TD Series Seeders use a plate system for planting larger seeds. 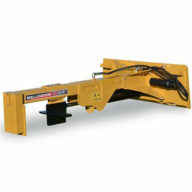 The TDR Series are the Tractor Mount Units for the large seeds. You can chose multiple units to mount on a toolbar and 3 pt. hitch. 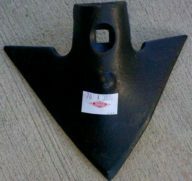 Please Know: We only sell the Original Jang Seeders from Jang Automation. Our pictures, information and charts have been used and copied and are appearing in Chinese knockoff ads on the internet. 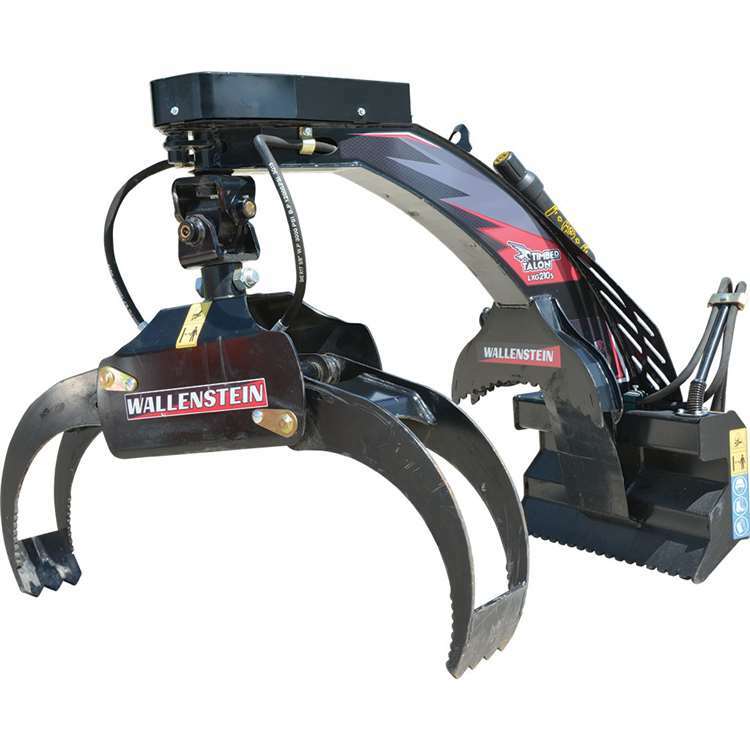 Wallenstein Forestry Equipment is built with you in mind to make your woodlot maintenance easy and proficient. Looking for the Best Bang for the Buck? 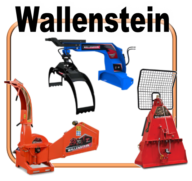 Look no further than the Wallenstein Products for all your woodlot maintenance needs! 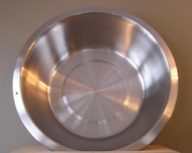 Wallenstein's Forestry Products offer an extraordinary selection of products that are manufactured in North America with quality steel and professional workmanship. Wallenstein Forestry Equipment presents implements that cover a wide spectrum of options. From mini skidsteers to high horsepower tractors, you are sure to find the product that will serve your forestry equipment specifications. 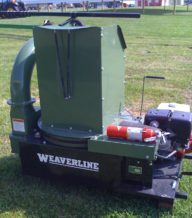 Wallenstein's Forestry Equipment is just simply - the BEST. Your Best Deal & Best Buy! 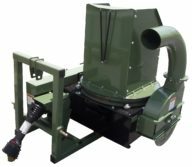 PTO Driven Wallenstein Chippers, Wood Processors, Log Grapples, Log Splitters & Skidding Winches are quality built and designed for efficiency. Your Best Bang for the Buck! 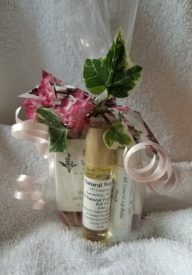 The Best of Both Worlds ~ Quality & Price! 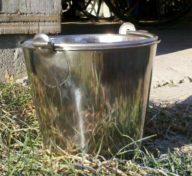 Cole Planters are made in the USA! 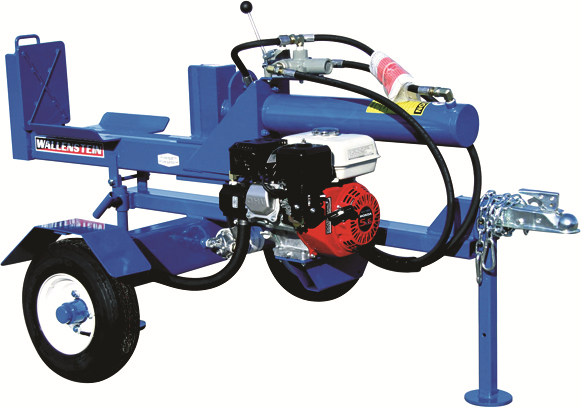 The Cole Planet Juniors & Cole 12MX Multiflex Seeders, are American Made and are manufactured at their factory in Georgia. Not an imported knockoff. 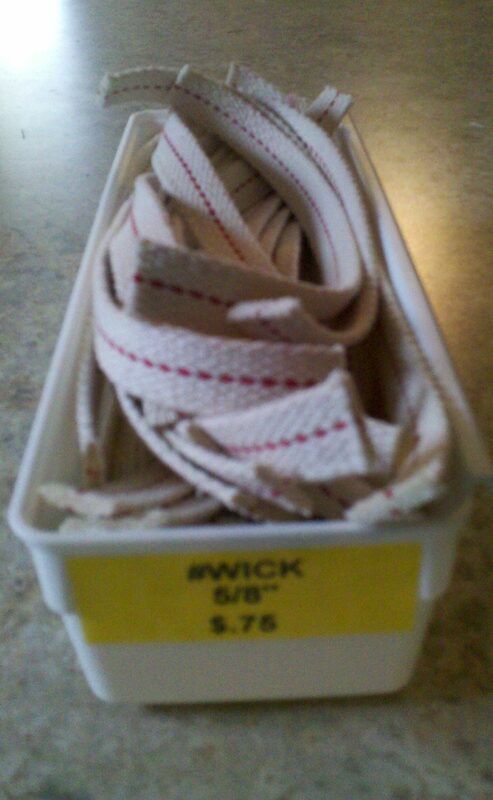 Quality Built, Sturdy, Stable & Durable! 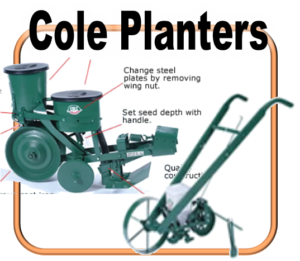 Having stood the test of time, the Cole Planters, Cole Planet Juniors & Cole 12MX Seeders are tried and true. 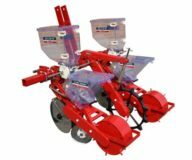 The Cole Planet Junior Garden Planters are designed for Planting Small Seeds and the Cole 12MX Multiflex Planters are Designed for Planting Large Seeds. Proud of its heritage and contribution to agriculture, the Cole Planter Company has over 100 years experience helping farmers plant crops. 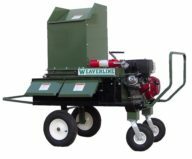 Combining this wealth of experience and state of the art engineering, Cole Planter provides very reliable and cost effective products for planting all types of crops. 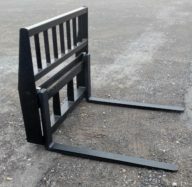 The expert design, durability and relative low cost of the Cole Planters has made them the "planters of choice" for many farmers for many years. 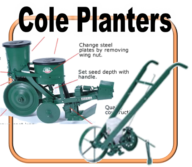 Cole Planters: Old Technology, Old Style, and Old School Durability! 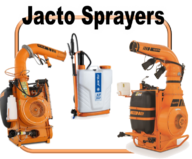 Jacto Sprayers are priced to sell and built to last. The Jacto Sprayers are highly-engineered and innovative products that serve end customers well. 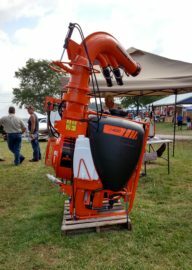 Their quality and performance will meet your needs from the Jacto backpack Sprayers to the Tractor Mounted Cannon Sprayers. 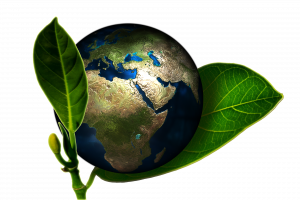 Also consider, that Jacto, the manufacturer, cares deeply for our social responsibility – and will continually offer products and services to improve the results of our customers and the health of our planet. 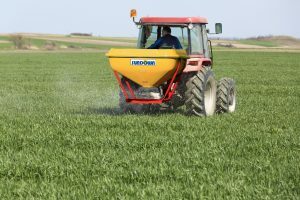 When you think about the Jacto brand, consider not only the highly-engineered and innovative sprayers that serve the end customers well, but also worth pointing out, is their affordability and ease of use. 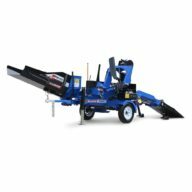 Similar to the performance of the Vicon Spreaders, the Sundown Spreaders are sure to please with their functionality & price! The 3 Pt. 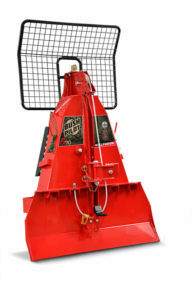 Hitch mounted Sundown Pendulum Spreaders are designed to evenly distribute granular fertilizer and seeds. 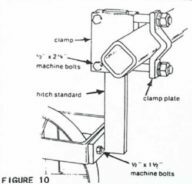 PTO shafts are included. 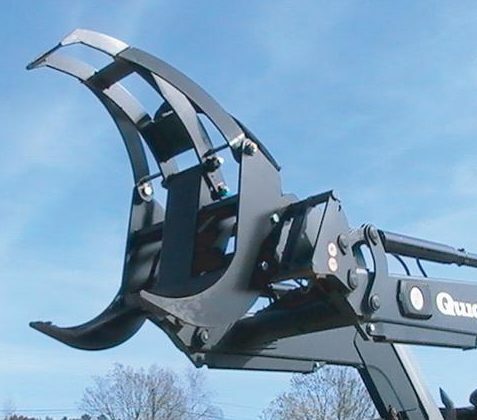 The Sundown Pendulum Spreaders and gearbox are manufactured in Italy. 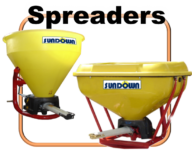 The Sundown Pendulum Spreaders feature an advanced mechanism with regulating key which allows for quickly setting the spread pattern. 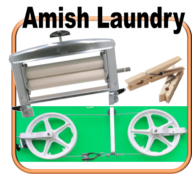 Amish Clothesline and Laundry Products are now available online for those that love the smell of freshly dried clothes brought in from outside.Our Amish Clothesline and Laundry Products are sure to please! 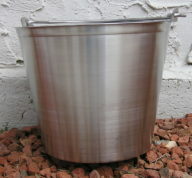 Durable, easy to use, functional and most of all -- economical! 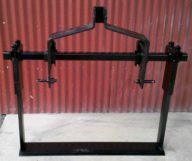 And don't forget to check out our Hand Wringer. 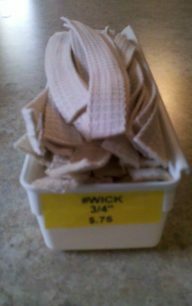 A must for wringing out the extra liquid in heavy jeans, towels and etc. 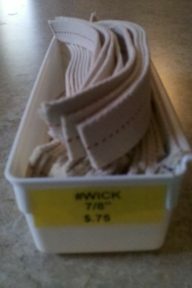 The Amish Made Clothesline Pulley System is a one of our customers' top choices. 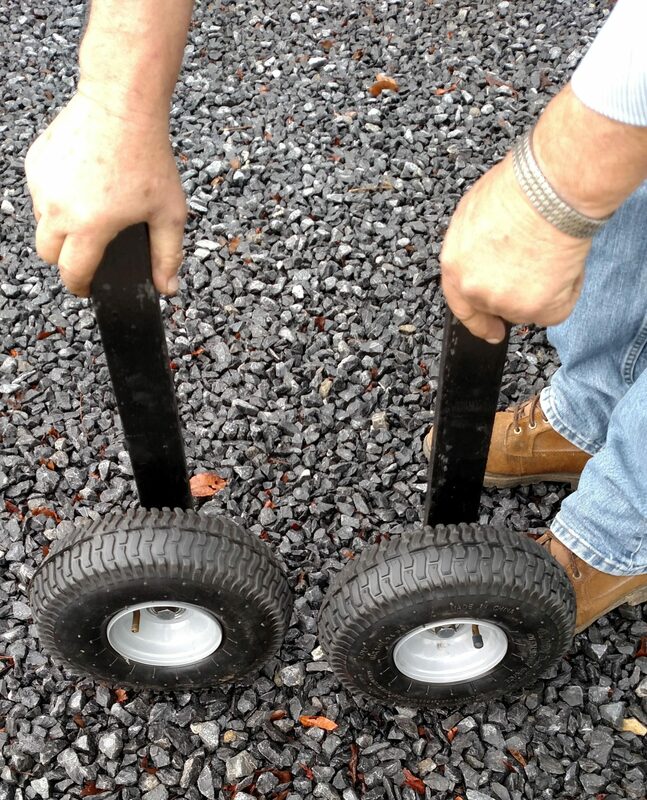 The Wash Line Wheels Uses 12" and 16" Poly Pulleys. The Pulley System has been used in frigid as well as arid environments. 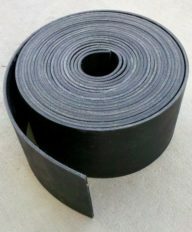 They are durable and long lasting. 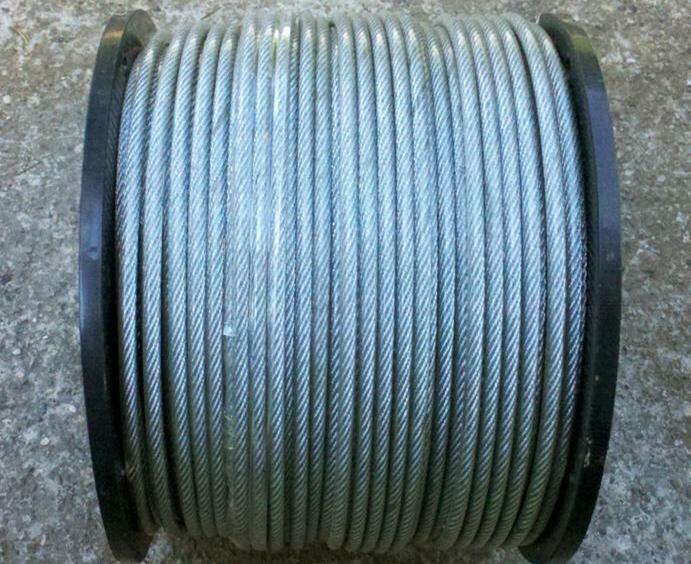 Don't forget to add the Coated Cable to your Pulley System order! 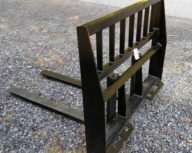 We also sell the Large Wooden Clothespins, Hand Wringer, Pin Ring to hang up small items in a limited space, and the smooth rolling Amish Made Laundry Basket and Sad Irons. 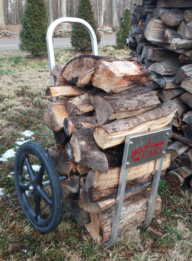 Farm Supplies, whether for the land, garden or woods, Woodward Crossings is your go-to expert for home gardening, commercial produce growing, woodlot maintenance and more! 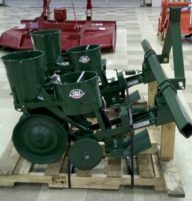 Our selection includes Wallenstein Chippers, Winches, Grapples, Firewood Processors, Log Splitters, Build Your Own Wunderbar 3 Pt. 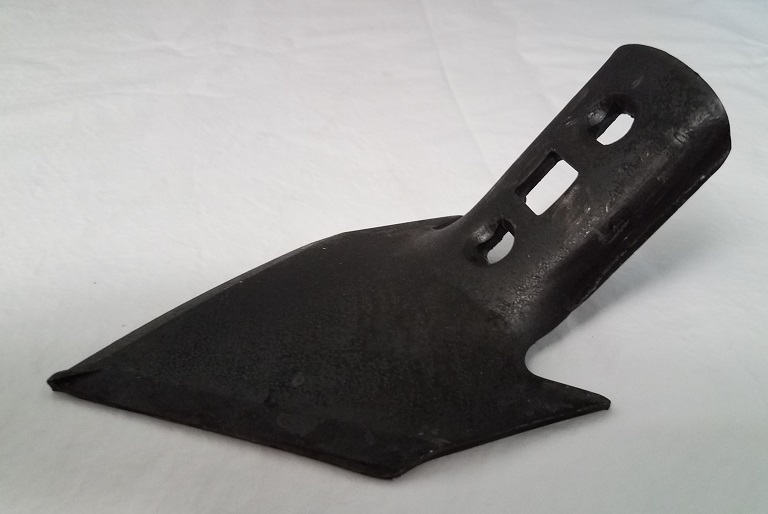 Hitch & Toolbar Implements for Gardening, Cultivation Tools, Jang Seeders, Cole Planters, Jacto Sprayers, Vicon Spreaders, Sundown Arenavator Cultivators and so much more! 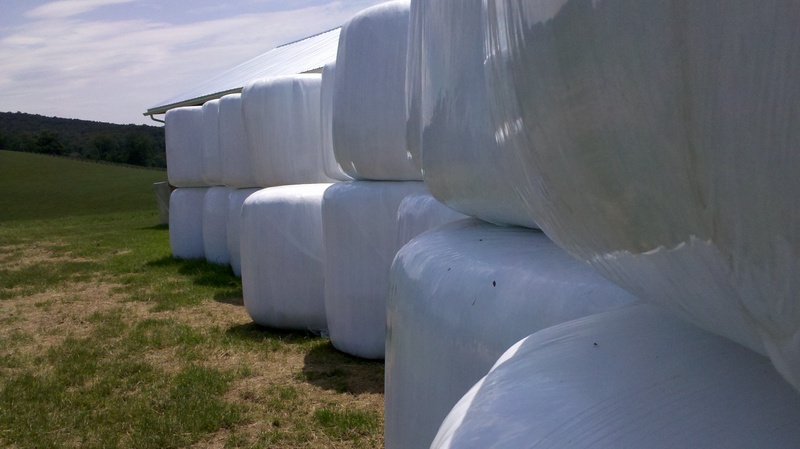 Passionate about Country Living, Woodward Crossings provides Farm Supplies that are quality built, functional and durable at a fair and affordable price. 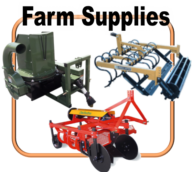 Looking for a great resource for Farm Supplies to maintain the land around the farm and woods? 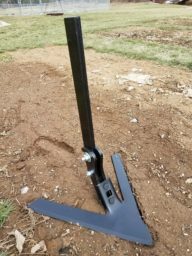 Visit our Wholegoods Section for many more ideas and a superb lineup of Implements and Parts for the Produce Grower, Landscaper, Contractor, Crop Farmer, Logger and Home Owners alike. Use your Ctrl-D to save us as a Bookmark for your Farming, Land and Woods Source for Parts and Equipment. 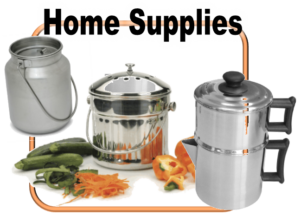 Home Supplies for those that love Simple Country Living are presented here at Woodward Crossings. We are your Online Resource for practical, well-designed and reasonable goods that enhance the Country Lifestyle. 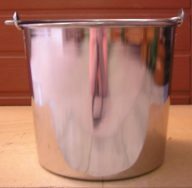 For Food Processing, we provide the manual Simple Kut Salad Machine, Victorio Sprouters, Grain Mills, Food Strainers, Steam Juicers, and Water Bath Canners. 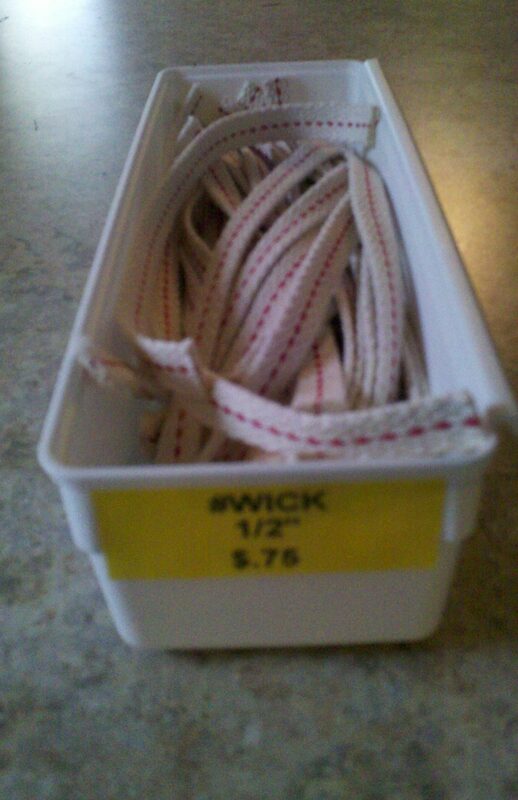 Many, though not all of our Home Supplies, are made by the Amish or used by the Amish. 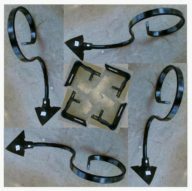 Our most popular is the Amish Made Clothesline Pulley System. This has been an amazing setup for ease of hanging clothes without moving off of your porch or patio. 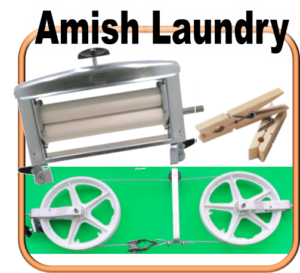 Along with the Clothesline Pulley System, we offer Large Wooden Clothespins, Amish Made Clothespin Bags, Coated Clothesline Cable, Pin Rings, Hand Wringer and our smooth rolling Amish Made Laundry Basket. 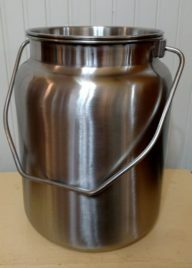 We carry an amazing Stainless Steel line of durable goods such as our 1 Gallon and 2 Gallon Milk Jugs, Dishpans, Pails, Coffee Makers, Tea Kettles, Roasters, Amish Made Drainboards, Bread Pans and Grapenut Driers. You will find many more products in our Online Store too numerous to mention that are both fun and functional! 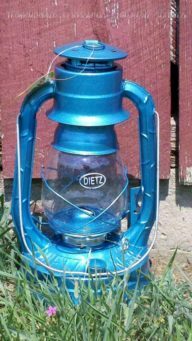 Lanterns made by Dietz have been the Go-To Lantern for 150 Years. 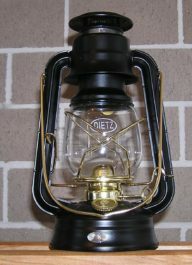 The Dietz Lanterns today are a continuation from the original tooling and presses. 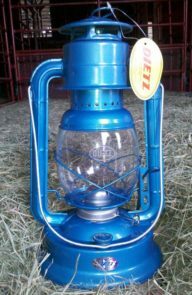 "First modern kerosene lamps are invented by... Robert Edwin Dietz from USA...in the year 1853. Their main characteristics were great portability which widened their use and strong light. 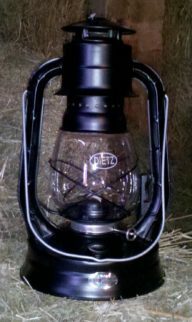 All kerosene lamps have container for kerosene and a wick or mantle for a light source protected with a glass globe or a tube. The kerosene burner was developed by brothers Robert Edwin and Michael Dietz in 1868. 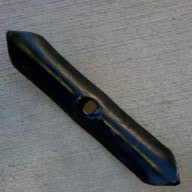 The “Dietz burner” became a worldwide standard. Remember the Lanterns that Grandpa had? Chances are they were Dietz Lanterns. You heart will be warmed and your home will be illuminated with the golden glow of these Dietz Oil Lamps. The uses are endless. 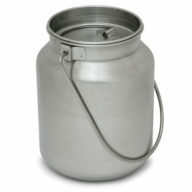 You will find that they are great for greenhouses, barns, homes, camps, porches and for decor. These reliable lanterns are not only depended upon for lighting and warmth, they are also used to create an ambiance in restaurants, for use in weddings and for table centerpieces. 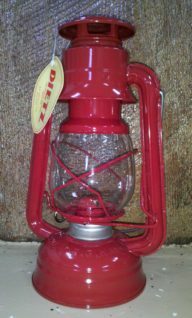 Browse our lineup of these "old vintage" style Oil Lamps to find the lantern right for you. 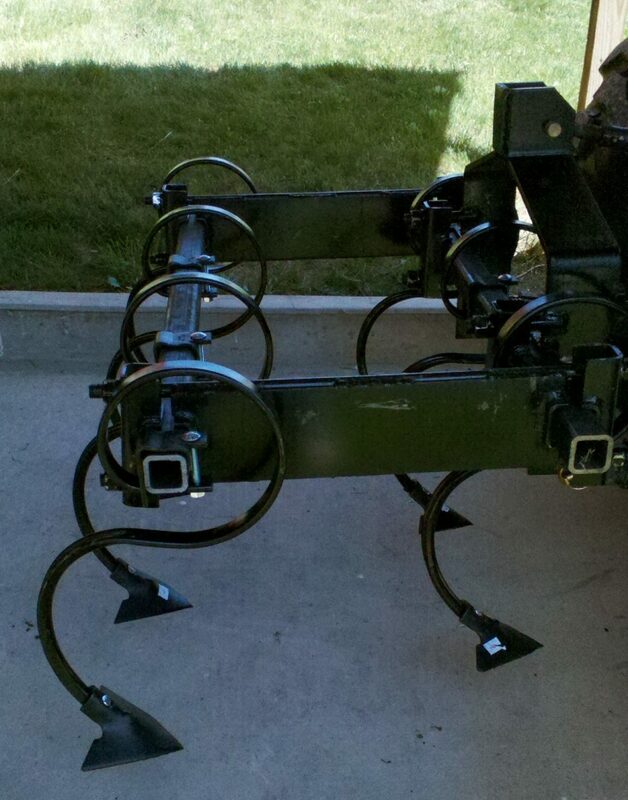 JP-3 Jang Seeder ~ A Walk Behind Hand Seeder That Singulates Seeds! 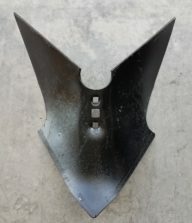 Wunderbar Potato Planter ~ 3-in-1! Furrows, Plants, & Hills! JP-6 Jang Seeder ~ A Walk Behind Hand Seeder That Singulates Seeds! 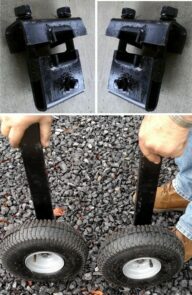 Woodward Crossings’ Hay Bale Feeder Basket ~ Saves Hay! Wunderbar Undercutter, Carrot Lifter Bundle w/ 3 Pt. 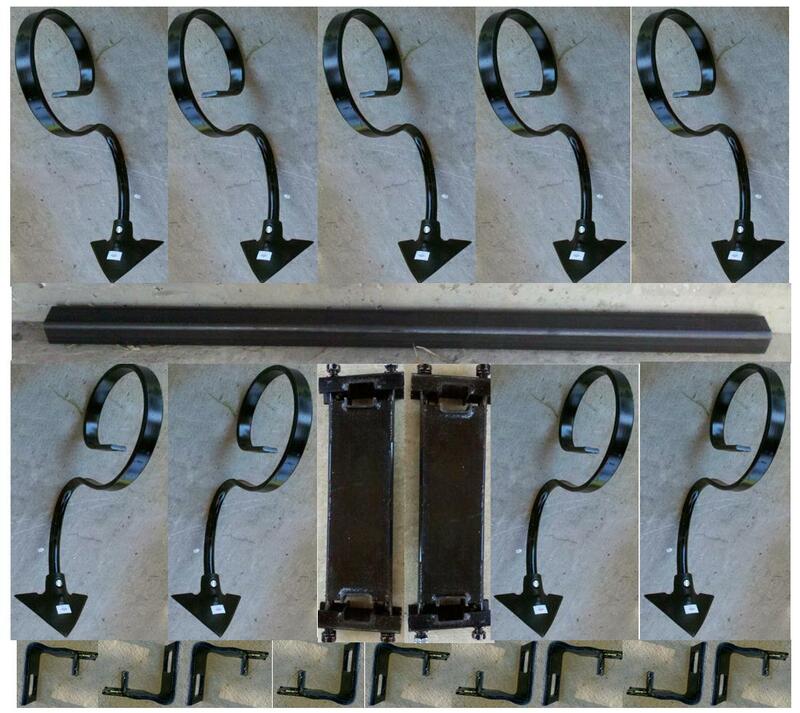 Hitch & Toolbar! 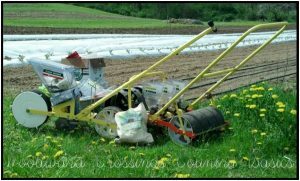 JP-6W Jang Seeder ~ A Walk Behind Hand Seeder That Singulates Seeds! 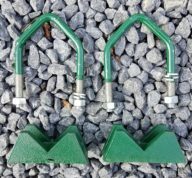 GR40 Forestry Grapple for Moving, Loading, Hauling Logs & More! 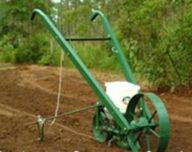 JP-1 Jang Seeder ~ A Hand Seeder that Singulates Seeds! 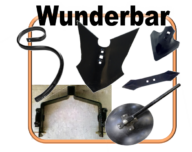 Wunderbar Cat I Hitch for 2 x 2 Toolbar, Includes Pins, Build Your Own Implements! 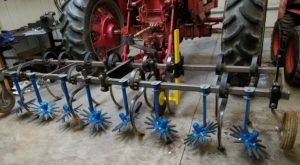 Gemini One Row Potato Planter from Bomet w/ 3 Pt. 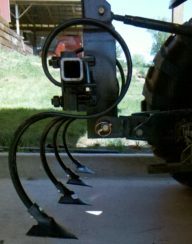 Tractor Mount. Plants Small Potatoes, Too! 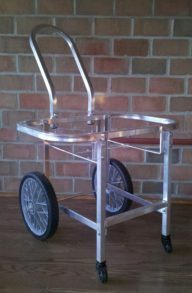 Aluminum Amish Built Laundry Cart w/ Castors – Moves w/ Ease! Amazing Quick & Easy Garden Planner! Free Shipping ~ Video Here! 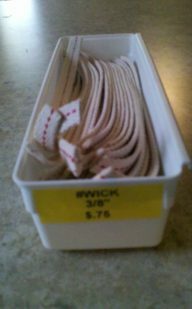 Amish Made Clothespin Bag – Adorable! 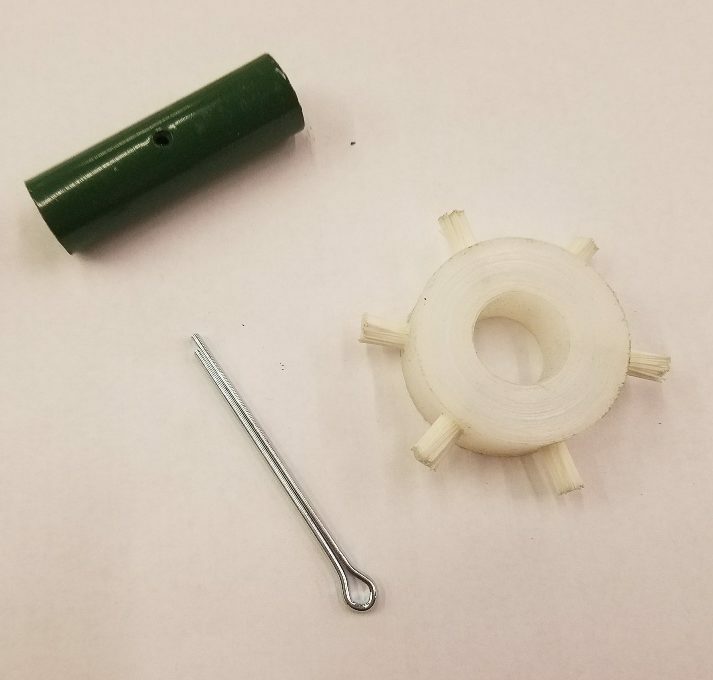 B10-039X Narrow Brush Feed Wheel for Cole Planet, Jr.
B21-259 Corner Mounting Bracket for Cole Planet, Jr.